Event Description: The Ontario Festival of the Arts brings visual and performing artists together with an audience to demonstrate that art is accessible and brings value to everyday life. For visual artists, the Festival will create a market place for functional, decorative and visual artists to display and sell their work. The Festival will be extensively advertised to attract a suitable audience. Location: The event will be held on the east end of the Ontario Arts District (200 block of South Lemon Avenue in Ontario. Surrounding the campuses of the Ontario Museum of History & Art and Chaffey Community Museum of Art). 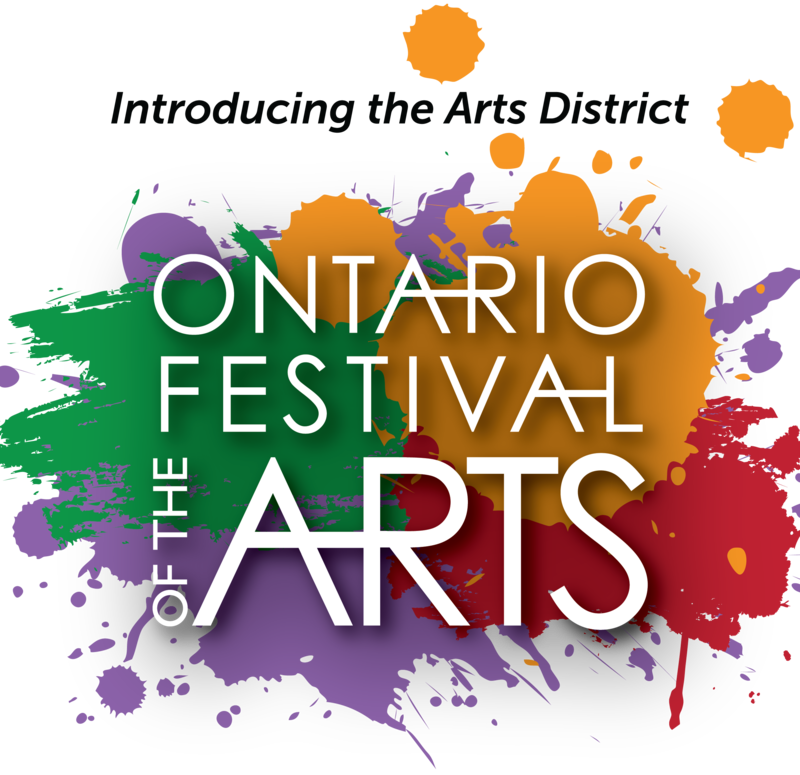 Artists must submit an application for participation in the Ontario Festival of the Arts. As part of the application process, artists must provide a short bio and upload five (5) images of what will be sold. If possible, please include a “booth image” showing the scope and presentation of art that will be in the booth. The images will be reviewed by a jury to be sure they conform to Festival standards. Artists will be asked during the application process to certify that the images submitted are their original work and were created by them. Art Requirements: All art must be original and made by the artist in attendance. Limited edition prints signed by the artist are permitted. Commercially-created items (such as coffee mugs or jewelry) that the artist has only enhanced are not permitted. Works of art will be inspected at Festival check-in and periodically throughout the Festival for conformance to this requirement. Drawing/illustration: work created in graphite, charcoal, colored pencil or crayon. Digital art: work for which the original image or the manipulation of other source material was created by the artist using a computer. Graphics and printmaking: printed works of art for which the artist hand-manipulated the plates, stones or screens. All works must be signed and numbered as limited editions. Giclees will be permitted if they are accurately identified and signed by the artist. Mixed media: work that incorporates more than one type of material for production. Painting: work created in oil, acrylic, watercolor, encaustic or collage. Photography: photographic prints made from the artist’s original image and processed by the artists or under the artist’s direct supervision. Ceramics and pottery: functional or decorative works of clay or porcelain made and signed by the artist. No commercially-produced ceramics merely enhanced by the artist is permitted. Fiber: work crafted from fibers. No form of mass production is permitted. Found objects/assemblage: original work created from found objects. Glass: work handcrafted by the artist. No commercially-produced glass merely enhanced by the artist is permitted. Jewelry: items handcrafted by the artist from any material. No commercially-produced jewelry merely enhanced by the artist is permitted. Leather: items handcrafted by the artist. No commercially-produced leather items merely enhanced by the artist is permitted. Sculpture: original work created from any medium. Wood: original work that is hand-tooled, turned or carved. No commercially-produced woodwork merely enhanced by the artist is permitted. Artist Selection Process: A jury from the Ontario Museum of History & Art and the Chaffey Community Museum of Art will review the applications between July 28 and July 31. The Ontario Festival of the Arts has the sole discretion to advise an artist if the work does not comply with Festival standards. If approved, artists will be notified by a member of the Festival Committee. Artist Participation: Accepted artists must arrive by 9:30 AM on September 15 for check-in and booth setup. Booth take-down must be completed by 7 PM. Booth location will be assigned by the Festival Committee and may not be changed. Assistance will be provided as needed to help artists unload and take exhibit materials to your respective booth. Artists must exhibit for the entire Festival (11 AM to 6 PM) and staff the booth at all times during Festival hours. Festival staff may provide coverage if needed for a short relief period. Only one artist per booth, unless two artists collaborate on a single original work of art. Artists are responsible for the security of their work during Festival hours, check-in and take-down. Neither the Ontario Festival of the Arts or the City of Ontario will assume responsibility for any loss or damage from any cause to any artistic works or display materials. Artists are responsible for payment of taxes to any city, county, state or federal agency. All participating artists must have a current seller’s permit, available online from the California Department of Tax and Fee Administration. Artists will keep 100% of their sales transactions — the Festival will not take a commission on sales. Pets: No pets allowed in booths or on Festival grounds.